“The Association was created to provide a forum for cross-disciplinary discussion of matters of common interest among psychiatrists, neurologists, neuropsychologists and workers in the related neurosciences. All suitably qualified persons with an interest in brain function in relation to behaviour would be welcome to join. For this reason we did not seek formal affiliation with other bodies, such as the Royal College of Psychiatrists, but decided to stand as an independent association. Young members bringing fresh ideas would be particularly encouraged to join, by keeping fees to a minimum and the establishment of appropriate prizes”. Now this dynamic and growing organisation provides a forum to assist its members maintain and extend their knowledge and skills and to improve the understanding and treatment of people with neuropsychiatric disorders. 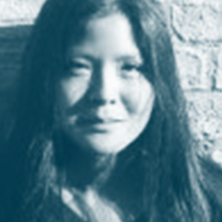 Dr. Valerie Voon is a Wellcome Trust Intermediate Fellow in Clinical Neurosciences and Honorary Consultant Psychiatrist at the University of Cambridge. She completed her Medical Degree at the University of British Columbia and Psychiatry residency at the University of Toronto in 2002, subspecialising in neuropsychiatry in her final year. She practised as a consultant to 2004 in Toronto during which she set up the liaison service to the movement disorders service. he completed her PhD in neuroscience in 2010 from the University College London focusing on mechanisms underlying dopamine agonist-induced impulse control behaviours in Parkinson’s disease. Her current clinical practise focuses on neuropsychiatric disorders subspecialising in movement disorders. Her research focuses on mechanisms underlying behavioural and substance addictions. 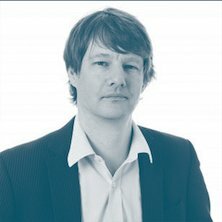 Professor Chris Butler is an MRC Clinician Scientist at the University of Oxford, and Honorary Consultant Neurologist at the John Radcliffe Hospital in Oxford. His research focuses on the mechanisms of human memory, and uses neuropsychology and brain imaging to understand memory impairment in epilepsy, limbic encephalitis and dementia. 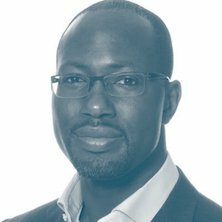 Chris trained in medicine at Gonville and Caius College, Cambridge and then at the University of Edinburgh. He obtained his PhD for work conducted on the syndrome of Transient Epileptic Amnesia under the supervision of Adam Zeman, work which established the ongoing, UK-wide TIME (The Impairment of Memory in Epilepsy) project. He undertook postdoctoral research in dementia at the University of California, San Francisco with Bruce Miller, and then returned to continue neurology training in Edinburgh, where he also completed a Masters in Philosophy of Mind. He moved to Oxford in 2009, where he now runs the Oxford Memory Research Group and heads the multidisciplinary Oxford Clinic for Cognitive Disorders at the John Radcliffe Hospital. Dr Tim Nicholson NIHR Clinician Scientist fellow at the Institute of Psychiatry, Psychology & Neuroscience, King’s College London and honorary consultant in Neuropsychiatry at the South London & Maudsley NHS Foundation Trust..
His main clinical and research interests are in conversion disorder / functional neurological symptoms and the organic causes of psychopathology, particularly via autoimmune mechanisms. He is currently investigating TMS as a potential treatment for motor conversion disorder. 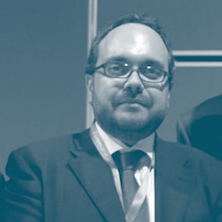 Dr Boyd Ghosh graduated from St. Bartholomew’s and The Royal London Medical School in 2000. He was a Neurology clinical fellow in Frenchay (Bristol) before studying for a PhD in Cambridge in neuroscience, with James Rowe and John Hodges. 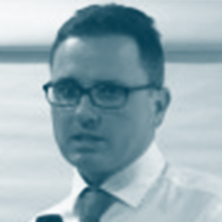 He is a consultant neurologist at Southampton General Hospital with an interest in cognitive disorders. He has a particular interest in atypical Parkinsonian disorders. Dr Ghosh has served as treasurer and secretary of the trainees committee of the ABN and is currently meetings secretary for the ABNs’ cognitive special interest group. 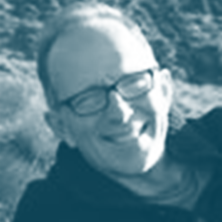 Vaughan Bell is currently a senior clinical lecturer in the UCL Division of Psychiatry and a clinical psychologist at the Maudsley where he specialises in seeing people with neurological and cognitive difficulties in the context of psychosis. He is shortly to become associate professor in the UCL Department of Clinical, Educational and Health Psychology. 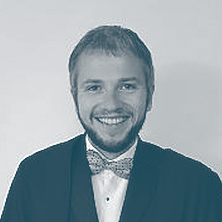 Vaughan completed his PhD on the cognitive neuropsychiatry of delusions with Peter Halligan and Hadyn Ellis in Cardiff before completing his DClinPsy at the Institute of Psychiatry in London where he completed his doctoral thesis on experimental models of conversion disorder with Quinton Deeley. His research largely focuses on the cognitive neuropsychiatry of psychosis. 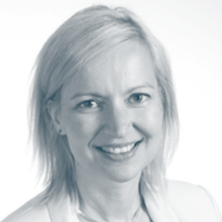 Professor Anette Schrag has a specialist interest in movement disorders, particularly in the clinical aspects of Parkinson’s disease and atypical forms of parkinsonism. Her work on these disorders has been included in a number of national and international guidelines on the diagnosis and management of these disorders. 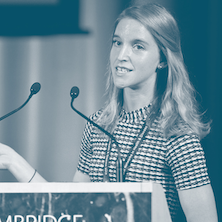 Dr. Camilla Nord is a Research Associate at the University of Cambridge, Department of Psychiatry. Camilla did her undergraduate degree in Physiology and Psychology at the University of Oxford and her postgraduate degrees in Neuroscience at University College London (UCL), Institute of Cognitive Neuroscience. Her work investigates disrupted neural circuitry in psychiatric disorders using brain imaging and non-invasive neurostimulation. She led an NHS trial testing transcranial direct current stimulation as an adjunct to cognitive behavioural therapy in depression, with Prof. Jonathan Roiser (UCL), and currently works on novel transcranial magnetic stimulation techniques with Dr. Valerie Voon (Cambridge). Consultant in Neurology and Epileptology at the Atkinson Morley Regional Neuroscience Centre, St George’s University Hospitals NHS Foundation Trust and Reader in Neurology at St George’s University of London. Dr Mula graduated in medicine at the Amedeo Avogadro University School of Medicine, in Novara, Italy, where he acquired MD and specialization in Neurology. He then trained in epileptology and behavioural neurology at the National Hospital for Neurology and Neurosurgery and the Institute of Neurology, Queen Square, London. He was then awarded a PhD in Psychiatry by the University of Pisa where he developed further clinical and scientific skills in the field of mood and anxiety disorders as well as dissociative disorders. Consultant Neuropsychiatrist/Liaison Psychiatrist in the Department of Psychological Medicine, Oxford University NHS Foundation Trust, UK. He trained in London at the Maudsley Hospital Institute of Psychiatry. 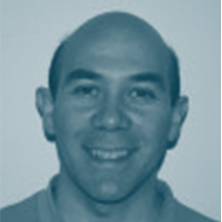 His interests include rating of disease severity, and psychosocial interventions in neuropsychiatric patients. 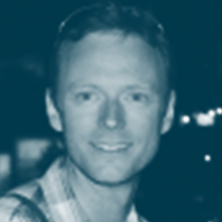 Adam Zeman is Professor of Cognitive and Behavioural Neurology at the Peninsula Medical School. His research interests focus on memory disorders in epilepsy, disorders of visual imagery and attitudes to the relationship between mind and brain. He is the author of ‘Consciousness: a user’s guide’ and ‘A Portrait of the Brain’, both published by Yale UP. He was Chairman of the BNPA from 2008-2011. I am a Clinical Research Fellow and Specialist Registrar in Clinical Neurology, working in the University Neurology Unit under the supervision of Professor James Rowe. I am interested in defining perceptual mechanisms and brain substrates through the general application of auditory psychophysics to patients with neurological pathology. My work is complemented by the use of functional imaging modalities such as magnetoencephalography and ultra-high field magnetic resonance imaging. My present focus is on brain mechanisms for prediction, language and learning in patients who neurodegenerative disease, and especially the neurodegenerative aphasias. My other interests include the exploration of perceptual timing in normal listeners and in patients with cortical and subcortical disease, as well as brain mechanisms for musical hallucination and tinnitus. I am always willing to discuss collaboration in these areas. Professor Lishman was the founder chairman of a neuropsychiatry association to stimulate interactions between neurologists, psychiatrists, psychologists and laboratory workers in the neurosciences, which has thrived ever since. From an early age Alwyn Lishman was intent on being a musician but set this aside and enrolled as a medical student at Birmingham University. He soon found that he had made the right choice. Early on he took an intercalated degree in Anatomy and Physiology in Professor Solly Zuckerman’s department which set the stage for an enduring interest in the brain in relation to cognition and behaviour. Upon qualifying he spent two years in obligatory national service at the army hospital for head injury at Wheatley near Oxford. There he came under the influence of the neurologist Professor Ritchie Russell and, on obtaining his Membership of The Royal College of Physicians, he was promoted to Junior Specialist in Neurology. On demobilisation he obtained further experience of neurology at The Radcliffe Infirmary in Oxford, also with Professor Russell. Thereafter he decided to sample psychiatry and was encouraged to do so by Professor Aubrey Lewis at The Maudsley Hospital in London. The decision to write his medical doctorate on records held in the attic of the Churchill Hospital, concerning soldiers who had sustained penetrating head injuries during the 2nd word war, brought him back into contact with neurology and with Oxford in the course of visits to and fro. After completing psychiatric training he was appointed Consultant in Psychological Medicine at the National Hospital, Queen Square, and later at The Hammersmith Hospital’s Royal Postgraduate Medical School. He then retuned to The Maudsley and joined the consultant staff, ultimately becoming Professor of Neuropsychiatry at the Institute of Psychiatry. His clinical experience in these various settings led to the writing of his major publication -“Organic Psychiatry: The Psychological Consequences of Cerebral Disorder”, initially published in 1978. This was the first comprehensive account of how medical conditions can affect brain function and thereby come to the attention of psychiatrists. It quickly became indispensable to students of psychiatry and neurology alike and firmly established neuropsychiatry as a modern discipline. Two further single author editions followed. The fourth and most recent was updated in 2009 by a group of younger colleagues at the Institute of Psychiatry. Research was almost an integral part of experience at The Maudsley at the time, not least because of the number of first class trainees eager to work towards higher degrees. He initiated extensive studies of memory including interactions between memory, emotion and personality variables and also investigations into possible anomalies of cerebral organisation in psychotic Illness. The advent of brain imaging, along with refinements in clinical psychology, brought major new opportunities for research in neuropsychiatry. Efforts were made towards automation of scan analysis and detailed attention given to brain damage in patients with alcoholism and patients with schizophrenia. During his time at The Maudsley and Institute of Psychiatry, Professor Lishman became an international influence in the field of neuropsychiatry. Locally, he supervised numerous research students and trained many of our present day leading neuropsychiatrists. His wide-ranging travel, to teach and lecture in many countries, brought valuable relationships with colleagues and first-hand experience of recent developments. In addition, he served on the majority of scientific committees and grant giving bodies. During his time on the Neurobiology and Mental Health Board of the Medical Research Council in the 1970s, he argued strongly and successfully for a resurgence of interest into fundamental aspects of research in the dementias. 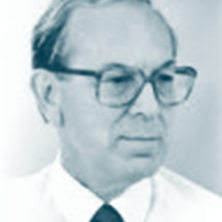 In the 1980’s Jonathan Bird drew attention to the need for a neuropsychiatry association to stimulate interactions between neurologists, psychiatrists, psychologists and laboratory workers in the neurosciences. This was set up by a small group of friends in 1987 with Professor Lishman as founder chairman and it has thrived conspicuously ever since under a succession of leaders. There are now several such associations in other countries including the International Neuropsychiatric Association, but it would seem that the UK can claim to have produced the first.